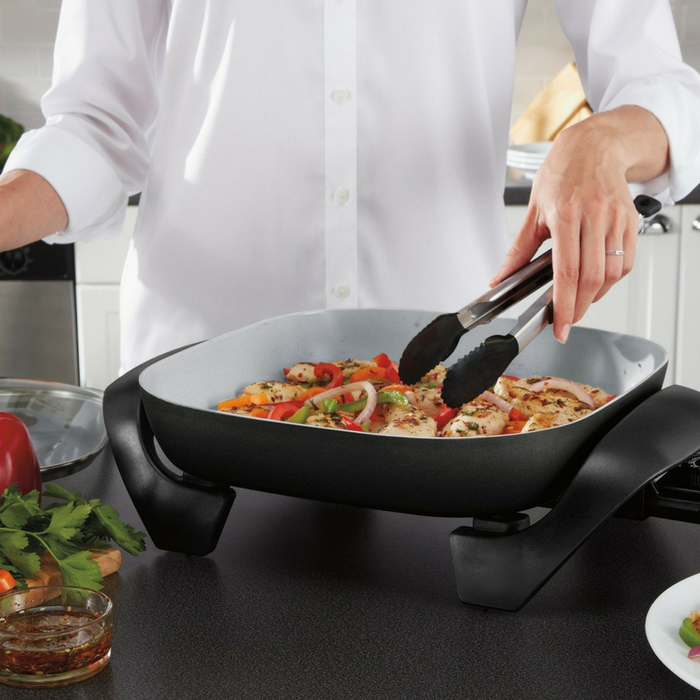 Oster Electric Skillet Just $19.39! Down From $46! You are here: Home / Great Deals / Amazon Deals / Oster Electric Skillet Just $19.39! Down From $46! Check out this Oster Electric Skillet which is on sale at Amazon for just $19.39 down from $45.81 PLUS FREE shipping with Amazon Prime or for orders $25 and above! This Oster Skillet is designed with a unique and innovative DuraCeramic non-stick coating that last 4X longer than standard non-stick coatings and won’t flake or peel. The DuraCeramic surface provides exceptional non-stick performance and lasting durability. The safe and natural ceramic coating is PFOA and PTFE free as well, so you can stir fry, brown meats and more without worry. The DuraCeramic finish cooks up to 20% faster to get you eating quicker and it easily wipes clean!